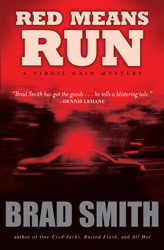 Crow’s Landing is the sequel to Red Means Run, Brad Smith’s first novel in his Virgil Cain Mystery series. In the first novel, eponymous anti-hero Virgil Cain gets all tangled up with love interest slash policewoman, Clare. The Bobby Fuller Five hit, I Fought The Law ran through my head as I turned the last page. If you haven’t already, pick up Red Means Run; it is entertaining, full of drama, intrigue and wit. In the second novel, Crow’s Landing, we only get mention of Clare, who is in far away France. Good thing too because one sunny day while fishing the Hudson in his cedar strip boat, Virgil hooks his biggest catch of the day – a cylinder full of cocaine. Complications ensue and propel the story forward because, of course, drugs mean money; dirty money, dirty people and a strong foundation for a crime novel. Nothing gets the travel bug more jittery than a fresh spring breeze radiating with a hint of summer around the edges. And it was just that kind of morning when we headed out of town on the Canadian long weekend. While meant to officially celebrate Queen Victoria’s birthday, monarchies aside, the holiday was the perfect excuse for a road trip. Last few years instead of taking one vacation throughout the year, my partner Peter and I, have taken to extending the long weekends whenever we can. Cell phones are locked in the glove box for emergencies only and we travel unplugged … the internet is out of bounds. Last spring we took a whirlwind adventure to Nashville, this year our journey took us to another musical place: Woodstock, New York. 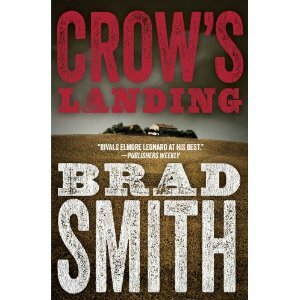 There is a lot of cross-fertilization happening in Red Means Run and I’m not referring to the hay fields in Brad Smith’s newest crime-come-mystery novel.